Buying bulk SMS on OrgDS.org platform is easy! 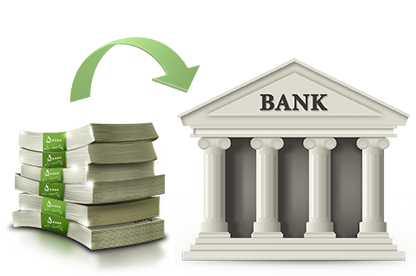 You can do electronic transfer to our bank account, pay via Remita, VoguePay or do electronic transfer or direct deposit to our bank account. 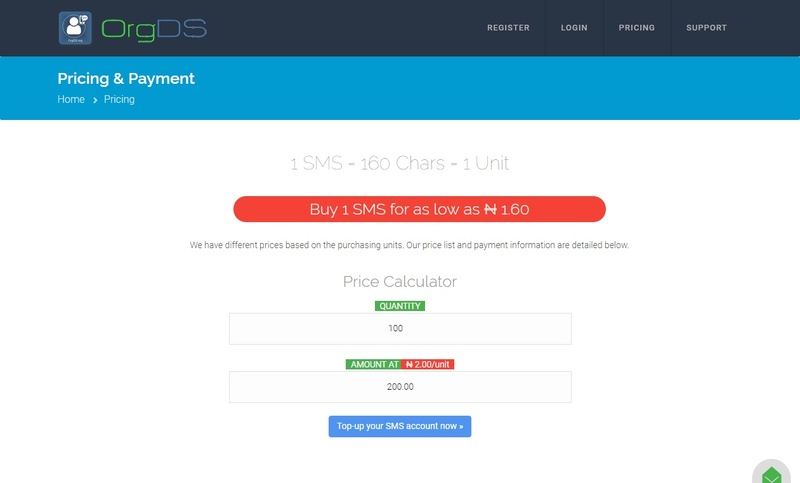 For details of our prices based on the purchasing quantity of SMS and to use our price calculator, visit our SMS pricing page. For your convenience, we have various channels through which you can make payment for our products and services. The following are the payment channels and how we process payments. This is a fast and easy way to make payment and get instant credit on your account. 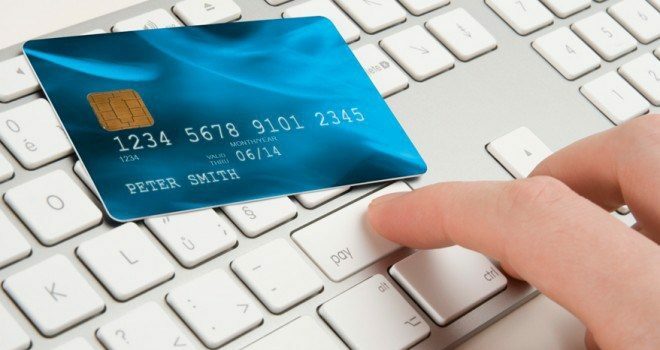 You can make payment with a credit/debit card or some bank account and your account will be credited automatically. You will be charged a transaction fee of 2.5% on every transaction below ₦2,500 and 1.5%+₦100 on transactions above or equal to ₦2,500, capped at ₦2,000. This is a fast and easy way to make payment and get instant updates on your account. When you pay via Remita, your SMS account will be credited automatically. You will be charged a transaction fee of ₦100 on every transaction not more than ₦5,000 and 2.0% per transaction above ₦5,000 when you use Nigerian credit & debit cards. 4% charges on International cards. Like payment via Remita,this channel provides instant updates on your account. When you pay via VoguePay, your SMS account will be credited automatically. You will be charged a transaction fee of 1.5% on every transaction not more than ₦2,500 and 1.5% + ₦30 per transaction above ₦2,500 when you use Nigerian credit & debit cards. 3.8% + 0.50 of the currency of transaction will be charged on International cards. Unlike other options, this payment option is not auto-processed so you may not get instant updates on your account. When making payment directly or transfer into any of our bank accounts listed on the pricing and payment page, please do with your USERNAME as the depositor’s name (or payment description where applicable) and send your Username, Amount Paid, Teller No or Reference Number, Date of Payment, Account Paid into, and Purpose of the Payment to the contact support phone number available on the pricing and payment page. If you make electronic transfer, send the transaction alert details. It will be treated and your account will be credited immediately the payment is confirmed.